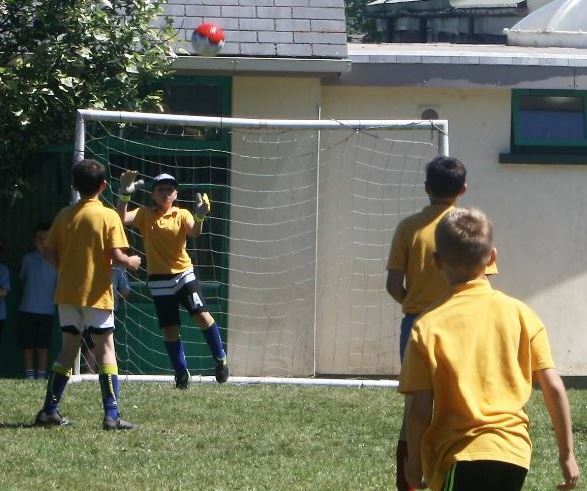 Last week the Fairtrade World Cup tournament took place at Tavernspite County Primary School in Pembrokeshire. Local primary school teams were assigned World Cup qualifying Fairtrade producer countries to represent in the tournament. Twelve schools focused on their assigned country in the weeks leading up to the tournament bringing with them Fairtrade posters they had made, flags of their assigned countries and customised sports kits. Schools like Pembroke Dock School (Uruguay) had assemblies about Fairtrade for parents and St Mark’s School (Senegal) learnt and performed the Senegalese team dance! There was nail-biting football (with Fairtrade footballs! ), with both semi-finals ending in penalties. The winning team was from Mary Immaculate Primary School with St. Marks Primary School coming in second representing Senegal. The tournament was funded by Hub Cymru Africa’s Grant programme and organised by the founder of the Fairtrade in Football campaign, Sharron Hardwick, with Tavernspite teachers Julie Houghton and Richard Henton and helpers Naomi Rees and Phillip Evans. “This is more than just a tournament, it’s about fairness, bringing schools together and supporting Sialkot football workers. We have the power to make a difference,” said Sharron. If your school is interested in finding out more about Fairtrade and football, take a look at our film, ‘Playing Fair: The Story of Fairtrade Footballs’, or for our World Cup Factsheets with facts about Fairtrade producer countries take a look here. 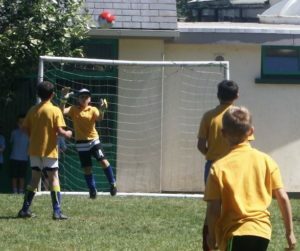 In the UK schools can order Fairtrade footballs and other sport balls from Bala Sport.